I've previously been to this cemetery on multiple occasions and most of the time, it seems to be a hot bed of activity. There are times where I see and catch absolutely nothing, then there are times that are different. 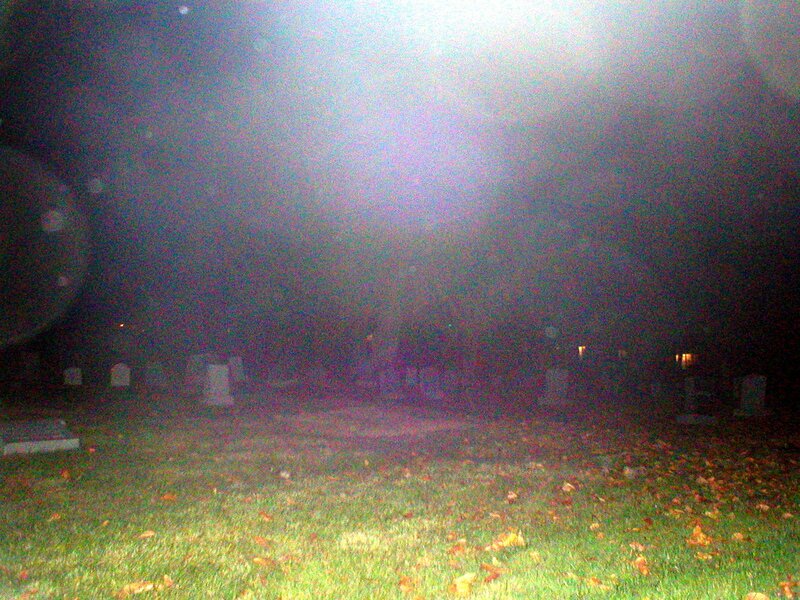 Tonight's visit to the cemetery was full of activity, both real and possibly paranormal. 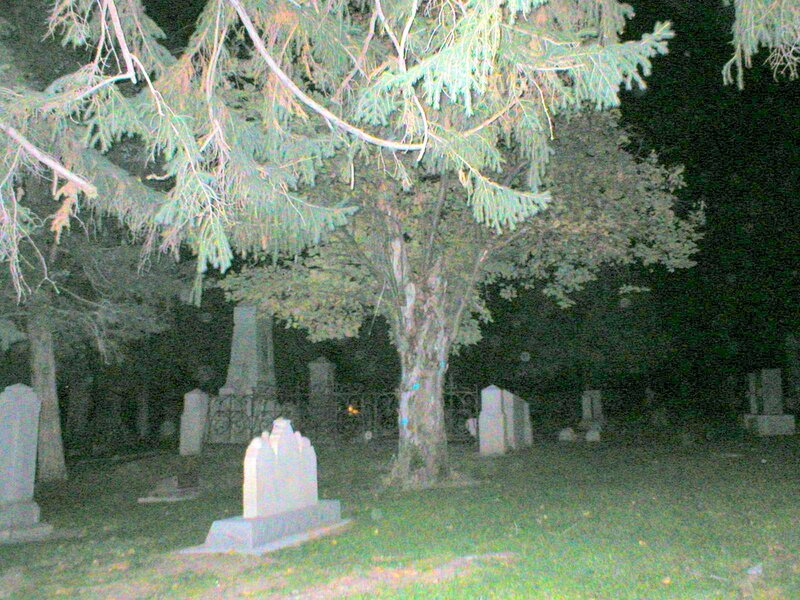 Around 8:35 PM I arrived at the south side of the Salt Lake Cemetery along Fourth Avenue in the Avenues neighborhood of SLC. Tonight's investigation included the Sony Digital Video Camera with the new shotgun microphone, my Olympus Digital Camera, the CellSensor EMF meter, and my trusty Olympus digital audio recorder. Hauling all of this through a cemetery is not an easy feat, but I've mastered it. 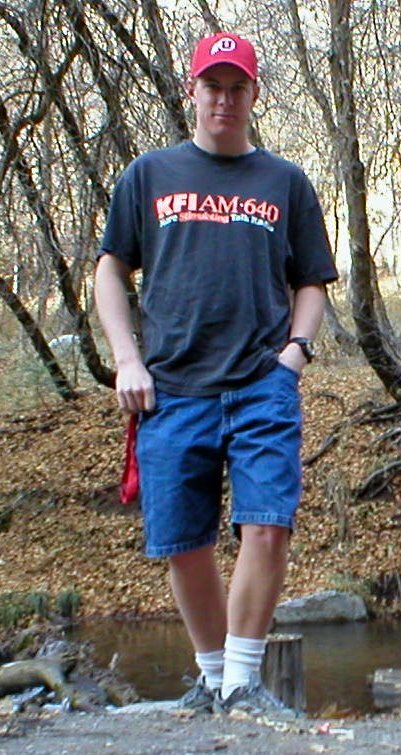 After finding a way into the cemetery, and visiting some sights I've already seen in the past (see December 8, 2006 investigation). I wanted to return to the same spots to see if I could capture the same EVP or something like it. However tonight would be different. The minute I stepped out of my car I noticed that people were walking through the cemetery. I knew right off the bat that they were investigators as well so I made an effort to talk to them but they went away fairly quickly. I noticed that they had a camera with them and several had small blue flashlights. Also, a party was going on in a house across the street to make audio matters worse. I recorded video the entire time and rolled audio with my recorder as well. The camera's microphone was not turned on for the first half of the investigation. On the recorder, one can hear the kids across the street plus the investigators in the distance. I made sure that I snapped pictures pointing in the same direction of the video camera, so both could see something at the same time, if it were there. Right off the bat, when reviewing the evidence, I noticed what you see in the picture at left. To see the full res version simply click on the image. I can assure you that the weather tonight was perfectly clear, and there was no fog in the area. Also, my camera lacks an LCD screen so I was simply pointing and shooting without much aim. What's weird about the mist is that it seems to come from the ground up. Watching the video, I see nothing when the camera's flash goes off, but here it is. This image has only been brightened from the original. To rule this out, when I got back to home base, I attempted to take a similar picture with my finger on the flash, but could not replicate this effect. I also see... in this picture, flares from the light source, which would happen if you were to take a picture of the sun or any "real" light source. The picture was taken looking southeast, according to the audio. 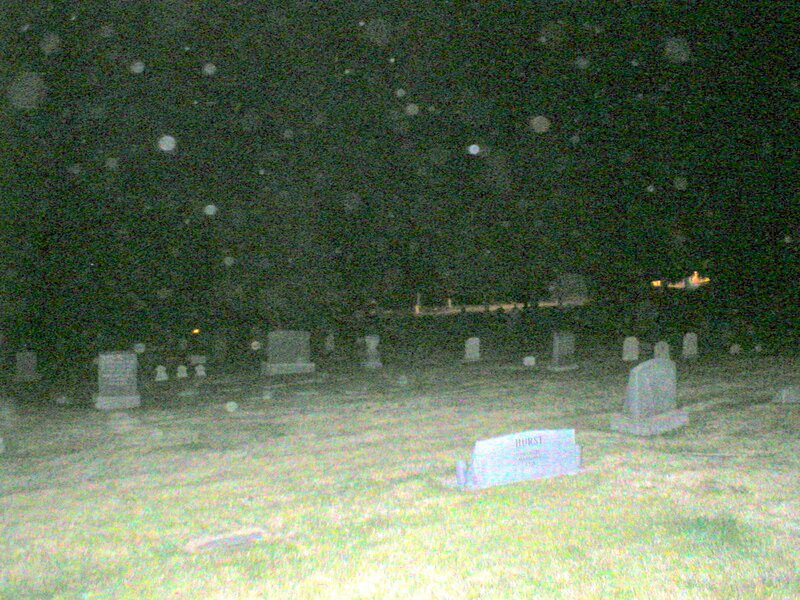 I continued walking and taking EVP recordings and asking various questions as I headed around the cemetery. I snapped three other pictures, two looking north, one looking west. The pictures are below. 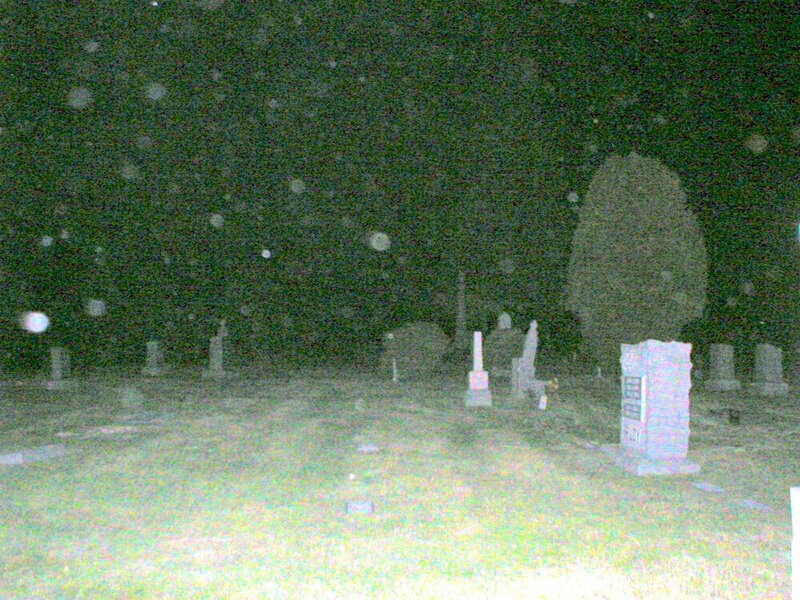 Notice the orbs. These definitely are dust, as the air quality here in SLC has been terrible. As per usual, nothing 'unusual' was captured on the video. Throughout most of tonight's recordings, a party was going on (on 4th Avenue) and people could be heard chatting and screaming, however two anomalies appeared in the half an hour long investigation. I was even happy enough to cause quite a scare as some little girls at a party thought I was a ghost :D.
This possibly could be myself breathing, however it sounds too odd to be a breath of air, that and too loud. While asking if anyone wanted to "manifest" themselves or not, a far off talking woman can be heard a few seconds later. I just happened to be in the right place at the right time, and several of the partygoers (mostly children) thought I was a ghost. This is not an EVP, just a joke that I had no idea I was part of, but I played along. :D.
ALL CONTENT ON THIS PAGE IS COPYRIGHT INTERMOUNTAIN PARANORMAL SOCIETY. NO EVPS OR IMAGES MAY BE USED WITHOUT CONSENT OF THE AUTHORS.